If you have been waiting for the right time, or if you were ever just curious but didn’t want to spend the $, now is the perfect opportunity! Come take advantage of this one day offer and get your FREE download of the Best Thriller Award Winning and Bargain Bestseller novel, ‘The Drive’ by S.J. Johnson. Mark your calendar … May 5th ONLY. 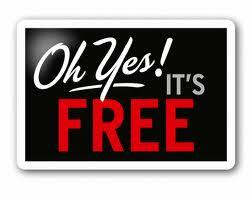 Get your FREE copy! If Google Trends are anything to go by, a fair number of you were fortunate enough to unwrap a Kindle 3 this last Christmas. If not then you can still have access to the world of Kindle books from other sources including the device you’re using to read this post. As long as you have a 3G or Internet connection on your devices, you’ll be able to automatically sync where you last left off in a book, as well as keep your notes and highlights intact. Now that you have your new Kindle Reader downloaded and installed on your device, you might want some books, so I thought I would provide you with some of the following resources for getting some free books to enjoy and explore with your reader app. For all but the Kindle Store, you’ll need to transfer the books manually using a computer and USB cable. Project Gutenberg: 33,000 free e-books, including all of the classics, available in Kindle, HTML and simple text formats. Google E-Bookstore: The free section is filled with thousands of free, scanned copies of books, available in Kindle-friendly PDF formats. Internet Archive: Millions of primarily rare, out-of-print works in multiple languages and formats (including Kindle), especially useful for academic work. Open Library: 20 million user-contributed items in multiple editions and formats (including Kindle). ManyBooks.net: Nearly 30,000 titles, many of which have been pulled from Project Gutenberg. Has a good collection of little-known Creative Commons works. 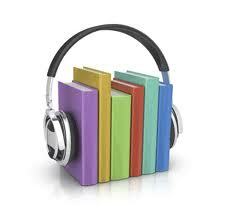 LibriVox: Thousands of free audiobooks. Looking for more Kindle resources? Then are also the options for subscriptions with many newspapers, magazines and even blogs are available on the Kindle. Each comes with a 14-day free trial subscription and is delivered automatically as updates are released. I do not get any money from Amazon for writing this blog or telling you how to get their free reader apps and books. 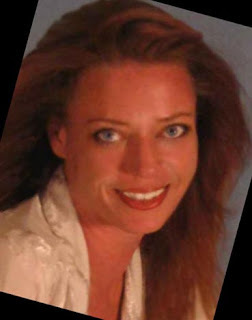 I am an author that has books available for Kindle, the only way I get any type of payment is when you buy my ebooks. I’m hoping that you will love your new free kindle reader so much that you decide and buy my ebooks. Get your FREE ‘Kindle Reader’ download for PC from Amazon right here! 3.) Begin browsing through the HUGE selection of eBooks that are now available to you. YES, it is that easy! 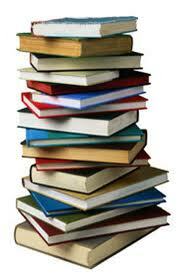 Just click the link and you will instantly have access to 1,000′s of Kindle eBooks in minutes. You can find many of your favorite authors for free, $ .99 and many more under $10. There is a huge selection of eBooks available to you once you download and install the Kindle eReader, Including New Releases. 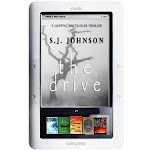 While you’re at Amazon.com, please don’t forget to get your copy of my new release, “The Drive” by S.J. Johnson. It’s an electronic reader, basically. You can download books, newspapers, and magazines and read them on this portable machine, kind of like you do on a computer. Buy e-books or subscriptions to the NY Times and read them all in one gadget. They have tried to make it like a real book – you can “turn” the pages with a click, and the screen is supposed to look like paper. What’s a ‘Kindle Reader’ for PC? It’s basically the same thing only it’s a downloaded program for your desktop computer or your laptop. It gives you all the benefits of the Kindle device to read all forms of written materials without the extra expense of buying a ‘Kindle’ device. Follow this Link for FREE Kindle Reader for your iPhone too. 2012 Facebook Micro-Story Writing Game Entries. 2012 Facebook Micro-Story Writing Game First Place Entry. Having Kindle Problems? Fixes for Kindle Common Issues. As an author selling my books through Amazon for the Kindle and as a Kindle owner I find having problems is paramount to the ease of getting these issues fixed so that I can get back to enjoying my little electronic wonder. After much frustration and research, the following is what I have been able to glean from a multitude of sources. Hopefully this can assist you with whatever may be ailing your device and turn your ‘problem child’ back into your beloved little Kindle. Please understand I am not a technician or an expert in Kindles in any way. I understand how to search the internet, ask questions and make a ton of phone calls, so you hopefully wont have to. Slide the power button and holding it for about 30 seconds. Release and wait around 20 seconds until the screen begins to flash. As soon as it does, plugin the power cord and keep it connected for about 2 hours. Most Kindle battery problems start to appear after to have the device turned off for long periods of time; however there have been Kindle problems dealing with defective batteries. Kindle problems linked to battery issues can lead to other possible type of problem with Kindle, and that is everything related to the WiFi usage. Sometimes, they are linked and confused with Kindle WiFi problems. First of all, try to turn of the WiFi usage whenever you don’t need it. There have been documented cases in which the battery without WiFi can last no less than two weeks on, while the duration could be a couple of days if the wireless is turned on constantly. This behavior is what tends to confused battery and Kindle WiFi problems, and just to be sure we have reported cases of Kindle 3 WiFi problems. So, proper usage will make to expand the life of your Kindle device and avoid having huge Kindle problems. Let’s move on to another type of Kindle problems, and they are Kindle screen problems. Most of them come from defective devices, which are replaced by Amazon in a few days. Anyway, having frozen and broken screen in painful, most of all because going days without a Kindle after having owning one is not an option for the vast majority of people. Some people have narrowed possible causes of having Kindle problems with screen, for example, putting the Kindle to sleep (by pressing ALT + the text key), you have to wake it up (by pressing ALT + the text key again) prior to it off. If you do it the other way around, as a result, the next time you turn it on, the screen goes funny and you will have to turn it off and turn it back on to get it to work properly. There is also a reset button under the rubber cover that you can press with an opened paperclip. Of course if nothing else seems to work contact Amazon customer support and have your Kindle repaired. The same behavior happens if too much pressure is applied to the device, which can bring even more Kindle problems. As usual, Kindle problems freeing can be confused or linked to other Kindle problems. Some customers have reported certain relation with the Kindle cover. And in many cases, after the customer reported the problem to Amazon, they promptly replaced the device and the cover quite fast. That is way many people tend to confuse this with Kindle cover problems. In some cases your Kindle will just freeze and no matter what buttons you start to press, nothing may seem to work, until you finally remove the battery, and after a few minutes your Kindle will go off. Replacing the battery and having the Kindle operative once more time can take a short time. So in most cases, once your Kindle freezes, at the very least you will need to make a hard reboot to try to fix this and other Kindle problems. If you wonder whether or not there are Kindle dx problems, you can be sure of it. Any of the Kindle problems addressed in this article can be easily found in the dx version. Not all Kindle dx owners have trouble with their Kindle, but apparently there are a significant number of people who have experienced Kindle dx freezing as well. Amazon has acknowledged the problem, too, and is, in fact, currently working on a solution to this and many other Kindle problems. You can be sure that there are even Kindle for PC problems, so no platform is exempted of having to deal with hot fixes, one way or another. Kindle for PC problems can be downloading problems, registration problems, or usage problems, in any case, this is the least of all the Kindle problems. For customers in the UK, toll free line is 0800-496-2449. In the worst case scenario Amazon will replace very quickly your Kindle, and hopefully you won’t have any more Kindle problems. ReP: Ovbious to you… Amazing to others….